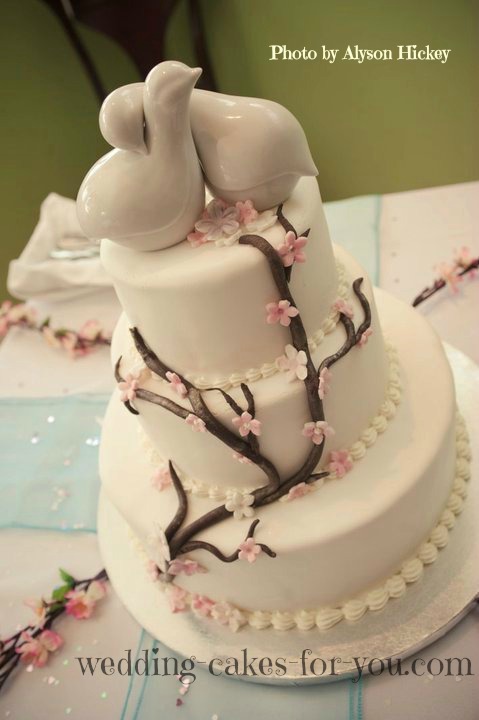 Lorelie's wedding shower ideas include an Asian inspired cake, belly dance theme, Mexican theme bridal shower, a tea party and cookie swap, and of course bridal shower cakes of all kinds. 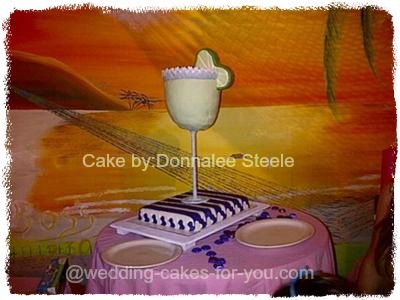 A Margarita Cake at a Mexican Restaurant for a Wedding Shower Party. 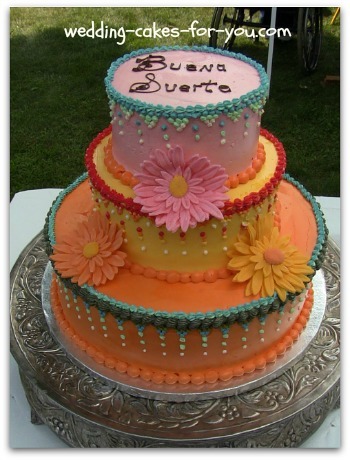 This cake was actually for a going away party for a couple who were moving to Mexico. It would be a GREAT design for a shower or even the wedding itself. The Gerbera daisies are super easy to make, here is a link to the gumpaste flowers page on this website where you can see a pictorial with directions. Wedding shower ideas for a FUN party!!! !This event took place at a winery. A great time was had by all of the ladies as you can see. This is such a fun party idea. 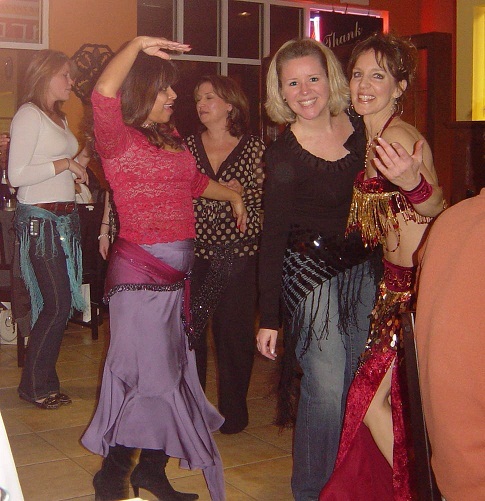 Link to Ct Dance Oasis if you are interested in having a dancer come to your party. 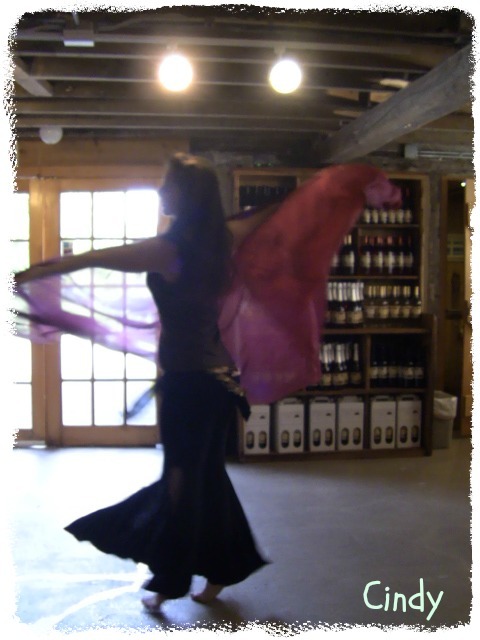 We are located in Danbury Connecticut and do bellydance parties for all ages. 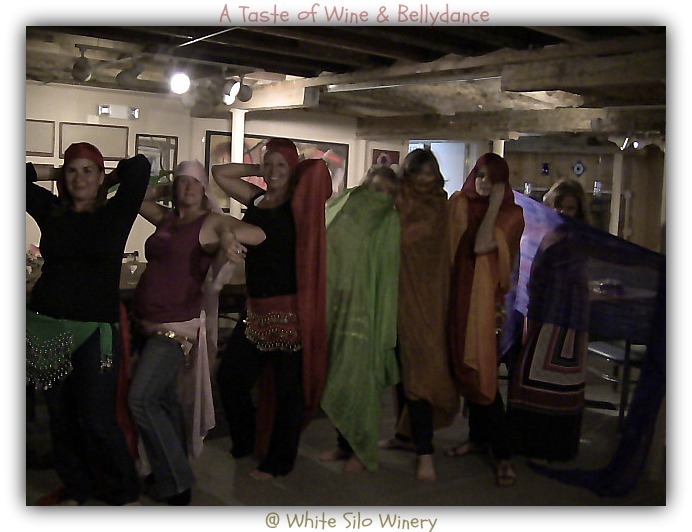 If you LOVE wine and are close to Connecticut consider having a shower at the White Silo Winery in Sherman CT. 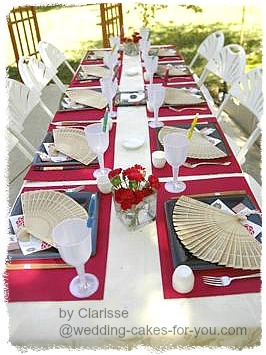 The table setting for the Asian Inspired party is simple yet elegant. Iced tea and orange cream cake were on the menu that special day. Read all about this Cherry Blossom Cake and get wedding shower ideas for a tea party bridal shower. The pictures here include some cake ideas and another bellydance in the garden/bridal shower/spa party. The party was a combination spa/belly dance event. After the dancing some of the guests enjoyed a massage and learned a few massage techniques. Tea parties are all the rage. If you are considering a tea party or cookie swap, then you will want to get this book. 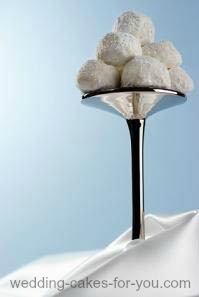 The tea cakes or Mexican wedding cakes as they are also called are so yummy. I make them all the time. They are so easy to make and will really impress your guests. 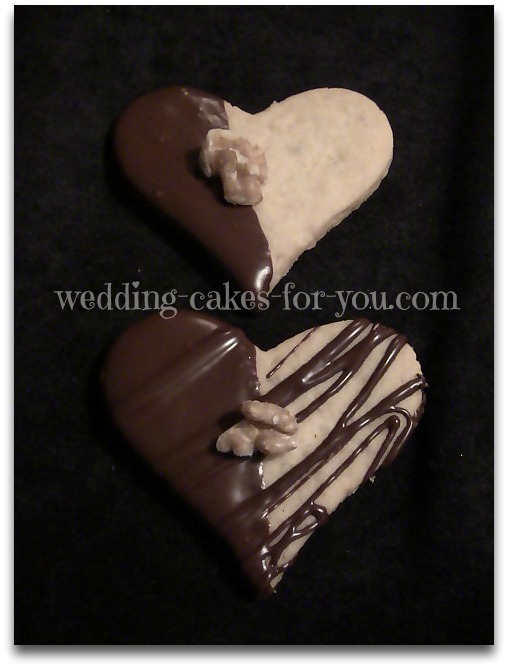 Heart cookies are always nice for a bridal shower celebration. This recipe is amazing as well. 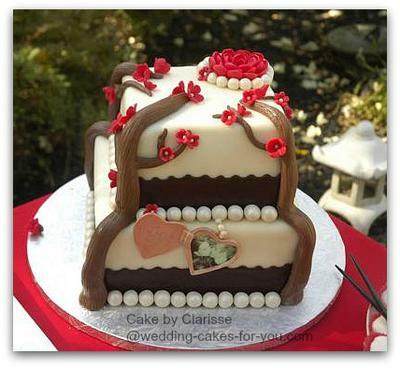 You will love them both for your tea party theme or dessert tables. 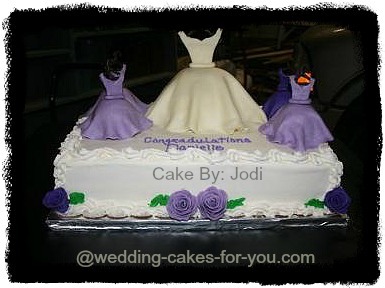 Sweet little dresses on top of a sheet cake. Click on the picture to see the whole story about this design by a mom. 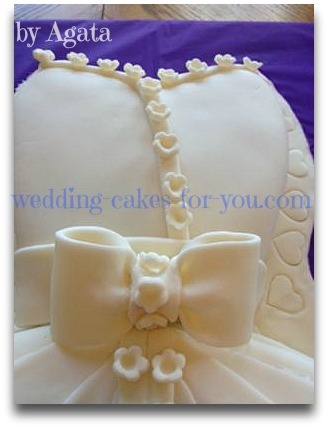 Close up of a brides dress cake for a shower. 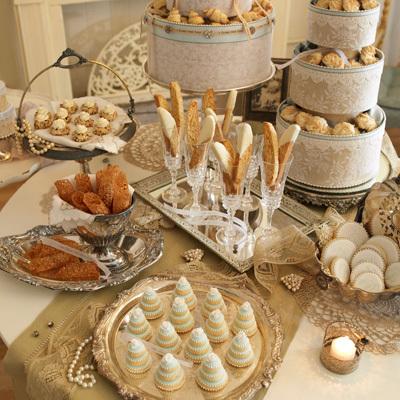 Have you ever hosted a wedding shower and would like to share? Do you have any great ideas or a fun story to tell? Do you have ideas, tips or advice on how to organize a wedding shower? Please share it with us. Do you have a sentimental story to tell? How about a tid bit that may help someone else when planning a shower. Share it and ask your friends to comment and rate your story.